Your smile is often the first thing people notice about you, so you want to keep it healthy, clean, and white. Unfortunately, cavities are a common dental problem, affecting 99 percent of people at some point in their lives. Left untreated, cavities can cause significant damage to your teeth, gums, jawbone, and even your bodily health. At Harlem Center for Aesthetic Dentistry, we understand that brushing and flossing doesn’t always stop a cavity. The good news is, with advances in general dentistry, we can restore the health of your teeth with tooth-colored fillings. To learn more about tooth-colored filling benefits, contact our New York, NY practice today. In the past, treating a cavity required the placement of noticeable metal fillings. Now, however, you have another choice. Tooth-colored composite resin fillings have emerged as the option preferred by most patients and dentists. Although they tend to be more expensive, composite fillings offer a number of benefits to patients. Tooth-colored fillings are ideal for small to moderate cavities. The composite is formed from a combination of plastic and either glass or quartz, and it has become the most widely used material by dentists for repairing tooth decay. The main advantage of composite fillings is cosmetic. Because they match the color of your teeth, they are inconspicuous. A tinting agent will be blended to the resin so that it matches your natural tooth color, making composite fillings ideal for use on anterior and posterior teeth. 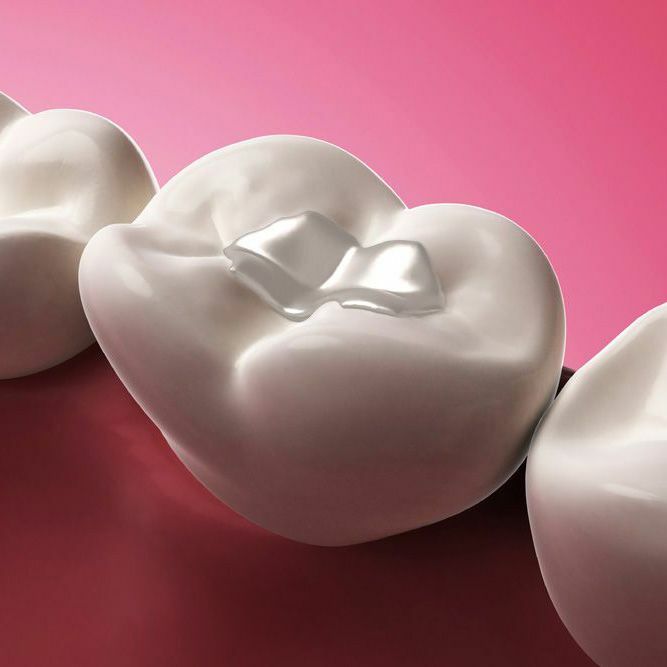 Composite fillings form a chemical bond with the tooth, allowing them to support the structure of the tooth and prevent breakage. Unlike metal fillings, which may expand and contract with temperature changes, the resin does not respond to extreme temperature fluctuations. The fillings are durable and able to withstand the constant pressure of chewing, so they be used on back teeth. For patients with good oral health and dental care habits, tooth-colored fillings should last ten years. Possibly the greatest advantage of tooth-colored fillings is that the composite naturally bonds to a tooth, which allows for minimal preparation and maximum retention of healthy tissue. This means less time in the dental chair, which is a huge benefit for our patients who may have a fear of dental work. Metal amalgam fillings contain mercury, which is considered a toxic substance. Although there is no evidence that the mercury in fillings causes adverse health effects, many patients feel more comfortable having composites fillings placed. We can typically place tooth-colored fillings in one office visit. The dentist will dry and isolate the tooth, then remove the decayed tooth structure. Custom-tinted composite resin will be placed in the cavity in layers, with each layer hardened using a curing light. The doctor will shape the completed filling to look natural, checking for a comfortable bite, and then polish it to deter staining and wear. If you have a toothache or dislike your amalgam fillings, we can help. To learn more about tooth-colored composite resin fillings and their advantages, contact Harlem Center for Aesthetic Dentistry today.